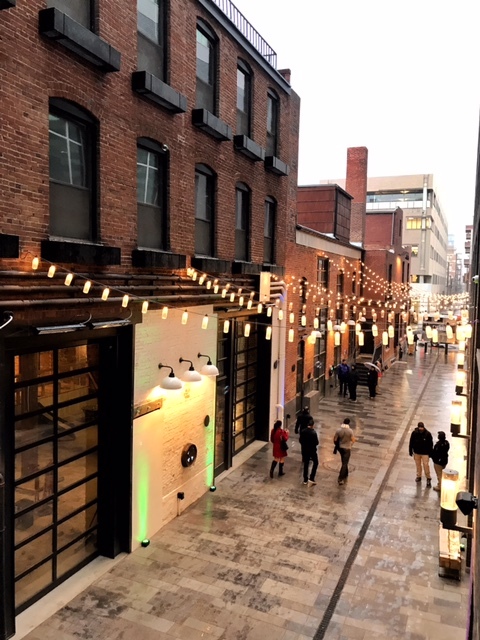 A little snow didn't stop the Dairy Block alley from lookin' bright and shiny! And just like that, it snowed again! We're wrapping up a busy week over here at the Denver Flea offices, which including the revealing of our Holiday Flea location (the Sports Castle on Broadway! ), launching our Holiday Flea ticket sales for the Friday night part-ay and Flea weekend pass, and attending the final hurrah of "patio" season at Dairy Block's Alley Bash last night. This weekend, some of us our donning our Halloween costumes a bit early, while others are eating the Halloween candy a bit early among other fun things. Blake's spending Friday night at his new neighborhood haunt, NOLA Voodoo Tavern, with one (or two) Hurricanes and Crawfish Etoufees. For those of you staying in tonight, take a page from Jo's chilly weather book - dive into Ozarks on Netflix with takeout from Pho 38. We highly recommend diving into 600 Acres, a lovely baking blog with beautiful writing, great song suggestions, and plenty of recipes to keep your kitchen smelling sweet. Take your Saturday (or, any day really) from 0 to 100 with some good ol' go-cart racing. Denver Flea was mentioned in a great story on 303 Magazine about the rise of slow fashion in Denver (thanks, 303!). If you've still got that fall-y feeling, you've got one more weekend to visit Anderson Farms to grab a pumpkin and experience ALL the fall things. Still in search of a costume for Hallow's Eve? Make like Megan and channel Wes Anderson - she's been watching The Royal Tenenbaums to get in character for her Margot get-up. Throwing a Halloween party? We're loving these cute tips and tricks for soiree that's more about treats than tricks. Amy turned us on to Rise & Shine's amazing biscuits and our lives are better for it. Be sure to head there ASAP - and grab us a Chapel Hill chicken biscuit while you're at it, please. Hey Freelancers! Check out Upwork. If you don't already know about it, you'll soon be all about it. In need of a booty burner after all of that candy? Check out this awesome yoga and kickboxing class on Monday. And, not to be totally counterintuitive to the prior link - but if need another use for all of that leftover candy, just go ahead, make these, and be really happy you did.